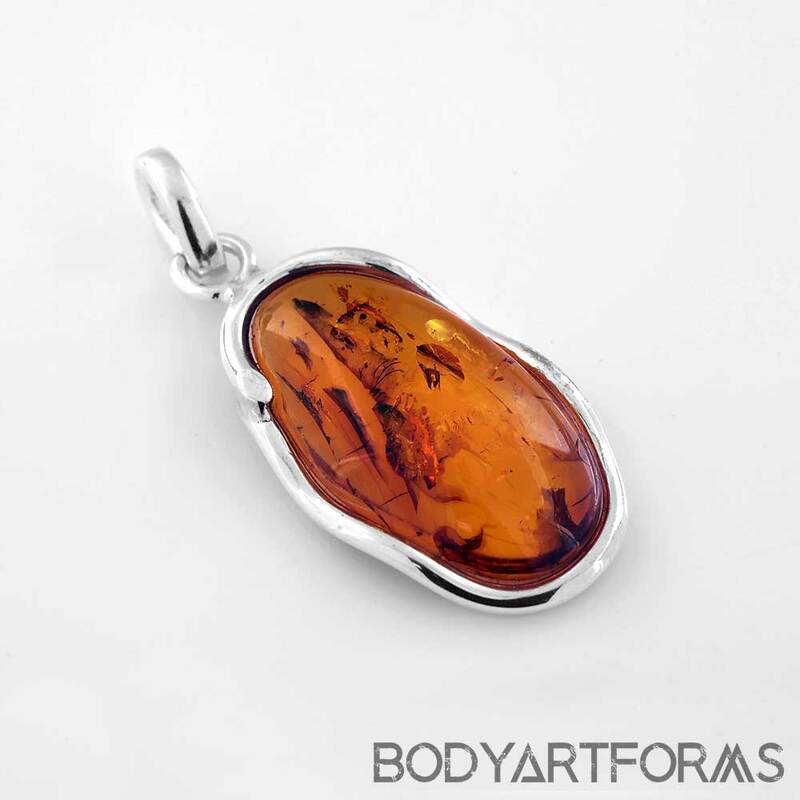 Framed with a ribbon-like silver setting, this pendant features a gorgeous and eye catching amber cabachon! This pendant does not come with a chain. Find a large selection of chains available on our site! You will receive the exact pendant photographed. More pendants are available here.